Below you will find a beautiful timelapse of the Mojave Desert, shot and edited by astrophotographer Harun Mehmedinovic, that managed to capture a meteorite explosion. Researchers, scientists, and engineers from around the world are continuing to push the limits of what is possible. What these people are discovering have the potential to improve our lives in incredible ways. I have compiled three different stories that are each promising in their own right. Researchers in Australia have created a “bionic spinal cord” that they claim would give paralyzed people significant hope of walking again. What makes the device even more amazing is that it could actually be utilized through the power of thought, without the need for open brain surgery. The researchers proof-of-concept results come from a study conducted on sheep, demonstrating high fidelity measurements taken from the region of the brain responsible for controlling voluntary movement with the use of the device. Elon Musk has been a technology pioneer. Helping to build companies such as PayPal, Tesla, and SpaceX. Each of these companies has revolutionized (or are in the process of revolutionizing) their respective industries. Now, Musk has his sights on building an electric-powered plane. Scientists are looking to preserve a brain, along with all of its thoughts, memories, feelings and everything else that makes us who we are, even after we have passed. To accomplish “life beyond life,” they are looking to preserve a brain’s connectome. While they are still unsure about whether this is possible, the scientists are developing techniques that they believe will answer this question. Kenneth Hayworth, a neuroscientist and the brainchild behind the Brain Preservation Technology Prize, believes that this technology will be possible. During an interview with Scientific America, Hayworth stated that he is “virtually certain that mind uploading is possible. Our best neuroscience models say that all these perceptual and sensorimotor memories are stored as static changes in the synapses between neurons.” This is exactly what the technique is designed to preserve. We are only a few short weeks into 2016 and we already have a number of amazing new research breakthroughs. These new discoveries will likely have major impacts in both the medical and technological industries. Here are three scientific research developments that you should know about. Cornell physicists proved that a quantum system cannot change while you are watching it. This effect was considered to be one of the oddest predictions of quantum theory, and the recent experiments confirmed it. Mukund Vegalettore, assistant professor of physics, established Cornell’s first program to study the physics of materials cooled to temperatures as low as .000000001 above absolute zero. For the experiment, a group of graduate students created and cooled a gas of about a billion Rubidium atoms inside a vacuum chamber and suspended the mass between laser beams. It was during this experiment that the team noticed the atoms would not move around as long as they were under observation. The more often the group used a laser to measure the behavior, the less movement they were able to see. This study has some fairly big ramifications, such as showing that quantum cryptography should actually work, meaning that an intruder can’t spy on your communications without destroying the data. Scientists have successfully induced Moorella thermoacetica, an originally nonphotosynthetic bacterium, to undergo photosynthesis in a hybrid artificial photosynthesis system for converting sunlight. The M. thermoacetica was coaxed to perform photosynthesis, even though it is naturally non-photosynthetic; the scientists essentially trained the bacteria to perform something that it was naturally genetically programmed to not do. “We’ve demonstrated the first self-photosensitization of a nonphotosynthetic bacterium, M. thermoacetica, with cadmium sulfide nanoparticles to produce acetic acid from carbon dioxide at efficiencies and yield that are comparable to or may even exceed the capabilities of natural photosynthesis,” stated Peidong Yang, a chemist with Berkeley Lab’s Materials Sciences Division, who led the study. A new class of sound wave has been developed for the first time in half a century. The sound wave was created by acoustics experts from RMIT University in Melbourne, Australia. It is set to revolutionize the way that stem cells are used in medical treatments. The new waves are known as “surface reflected bulk waves,” which are a combination of bulk sound waves and surface sound waves. Bulk sound waves cause objects to vibrate as one, while surface sound waves only cause the surface of the material to vibrate. The combination of these two waves is far more powerful than either of these waves alone. As for the potential uses for this new sound wave? Well, it is able to break down liquids into an inhalable spray, paving the way for a wide range of drugs that can be delivered into the body without the need for pills or injections. 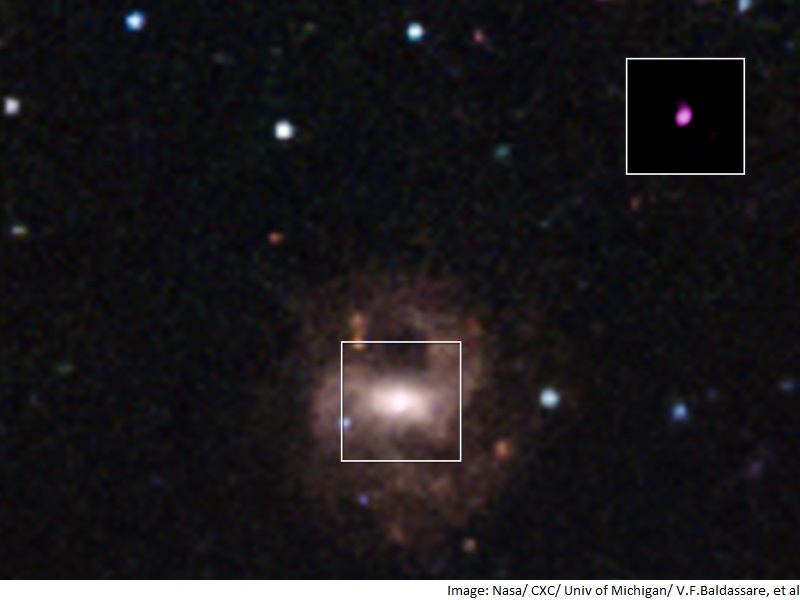 A huge black hole has re-awakened after 26 years of being dormant. The black hole is located about 7,800 light-years from Earth and is described by the European Space Agency as part of V404 Cygni, a binary system made of up the hole and a star. The last time activity was dedicated from V404 was back in 1989, but on June 15th NASA’s Swift satellite detected new bursts of gamma rays. NASA is planning to send a group of astronauts to Mars by the mid – to late 2030s. Now they must begin to decide where its first astronauts should make their landing on the Red Planet. This October in Houston, NASA will be holding a workshop where they will discuss possible landing sites for this expedition. As species survive the increasing heat over time, they are building up a resistance, or “genetic rescue.” Scientists have discovered the certain types of coral in Australia’s Great Barrier Reef have developed elevated thermal tolerances. As long as one type of the coral’s parents come from a warmer lower-latitude location, they are actually able to survive far better than similar coral without such parents. Essentially, a piece of coral who has a parent that lived in a heated environment, you are able to withstand the heat. This means that the coral is naturally toughening up to protect itself from pollution.